Thanks, bushido_man96 and Abaques, you are confirming some things I had been thinking about and gave me some additional food for thought. I had almost dropped Vernal Bloom and Survival of the Fittest in this first pass and hesitated not to include Yeva, Nature's Herald and Greater Good but still did in the end. I like the suggestion of adding Basilisk Collar , Sword of Vengeance , and Greater Good back in, Abaques. I also see what you mean, bushido_man96, on Temur Sabertooth . On the topic of Sensei's Divining Top , I'm doing a lot filtering through this decks structure, probably more than is common, but getting cards into hand in mono-green is a tough spot. The top just has value there. Now, I could switch it out for something like Momentous Fall or Soul's Majesty , which I initially considered doing, but I was a bit concerned over worthwhile targets. Soul's Majesty seems like the better option because of the sac requirement for Fall, but I didn't like the increase in mana curve. Thanks for linking your deck, Abaques. I will definitely take a look! Look at effects like Greater Good . 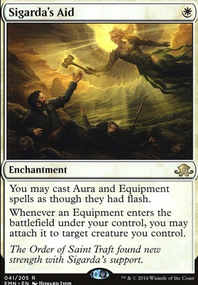 With Multani's easy recur ability and tons of ramp it's a great way to get a lot of cards in your hand. 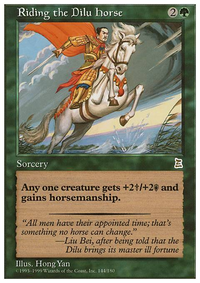 To be frank I think you've got some cards that are generally strong, but don't really do anything special for your deck. Survival of the Fittest and the Top just sort of seem out of place. 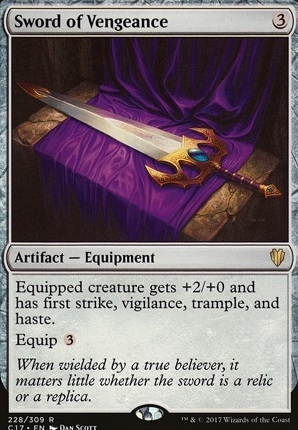 I'd also consider cutting some of the mana doubling enchantments. You only have a handful of cards that can really use all that mana you'll be generating. I'd strongly recommend Basilisk Collar . 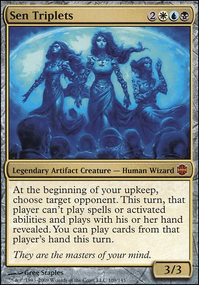 The deathtouch works great with trample and with Multani's size the lifelink makes the crackback much easier to take. I'd also add Yeva, Nature's Herald and Sword of Vengeance just for the haste. multimedia on Arahbo - Hear me roar. Vista and Scattered are good to search for one of them with Farseek since they are Plains. Vista and Village have good interaction with lots of basic lands. Call, Dawn and Armory are tutors, currently here there's no tutors. Dawn has good interaction with Herald's Horn being able to at instant speed set-up the top of your library with Cats. 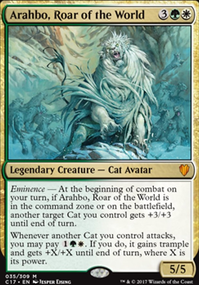 Having three turns where you can draw a Cat or creature of your choice is also nice. 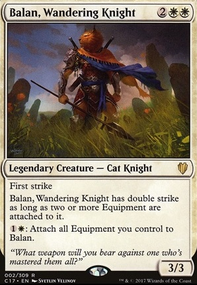 Titan is not a Cat, but he can be a repeatable way to reanimate 3 or less CMC permanents. My first suggestion might be to move the deck from modern to casual and explain you're looking for a modern format deck restriction. It helps clear away the comments of those looking to aid you in building a deck that can have a chance at a small tournament win. For modern 4+ mana spells are either the key strategy of the deck, or not many copies are ran as the top end, or it has a strong mana ramp strategy in the deck to make big spells hit play early. Now this is definitely far more tuned to fight the average new/casual player. My suggestions for if this is a casual deck would be Sword of Vengeance or Always Watching . both provide vigilance and the power boost for the initiate to trigger the angel proc, vigilance also provides you with a decent wall to stop creature strategies from attacking you. 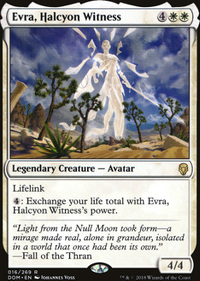 If the goal is to start attending tournaments maybe look into building g/w standard angels/tokens, you have many of the more expensive pieces, but if modern is the goal mana dorks like Noble Hierarch , Birds of Paradise , or Avacyn's Pilgrim with maybe a Oketra's Monument strategy (it makes the expensive angels cheaper and combo's with Whitemane Lion or Kor Skyfisher to make every W mana a token) Gideon, Ally of Zendikar is also rather good with helping get your creatures stronger, pumping out tokens, and being another gideon to play well with the other one. Honor of the Pure could also be a consideration.